No matter how this new dog came into your life; whether you chose him or he chose you, he’s probably already tugged at your heartstrings. You two are going to be buddies for life. But finding a name for a new dog can be a bit of a challenge. He’s perfect and so the pressure is on to find the perfect name for him. Do you go by his appearance or personality? Do you name him after your favorite movie star or book character? The choices are endless. To help narrow them down, here are a few tips on how to name your dog. 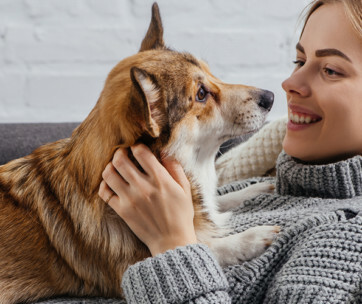 The name you decide to choose for your dog should not only sound nice to you, but your dog should be able to respond to and recognize it easily, rather than confusing it for something else. 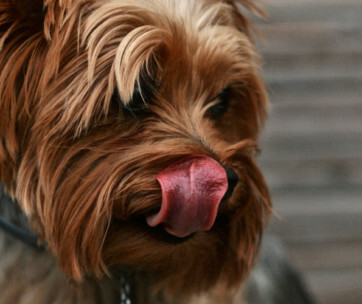 Dogs find it easier to respond to shorter names. Therefore, you should try and keep your new dog’s name to one or two syllables. As tempting as it may be to name your dog Sir Maximus Decimus Meridius, sticking to a simple “Max” is a better option. 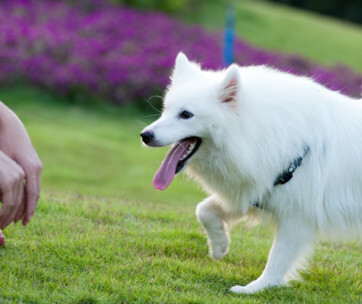 Use high frequency sounds to your advantage as dogs respond very well to them. Names that begin with sharp consonants such as s, k, c, sh and ch will help to capture your dog’s attention without too much trouble. In line with this, names ending with a vowel are also a good idea. Some examples include Chili, Kai, Simba, Shuri, and Coco. 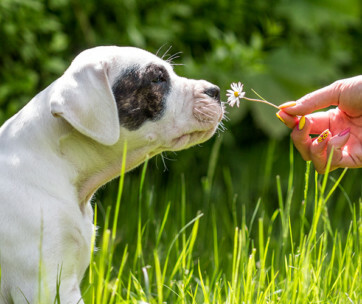 You may still be determined to give your dog a long name, and hey, that’s totally up to you. However, in time, that name will inevitably be shortened as it is easier to call out. You need to consider what the shortened version of that name will be and how it will sound, particularly in public. Is it embarrassing or inappropriate? For example, Smelton McBreath might be shortened to Smelly Breath; or Bombastic may end up as Bomb. Good luck shouting that out in public. The nickname may also ruin the original effect you had in mind for your dog’s name. You don’t want people to get the wrong impression of your new best friend, do you? 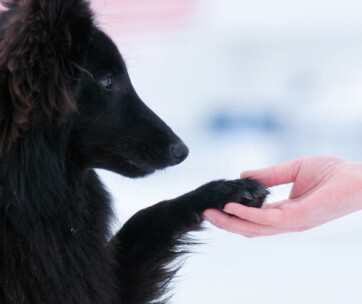 There is no other dog like yours, and your bond will only become stronger over time. Avoid common names such as “Spot” if you would rather not have your dog run to someone else in the park. You could also end up with a whole pack of dogs in front of you. Instead, choose a name that is less likely to have been given to several other dogs. Your dog deserves something unique. Give the name you’ve chosen a trial run for a day or two to find out how your dog responds to it; as well as how you feel about it. It may not seem completely fitting at first, but it could grow on you after a few days. If not, scrap it and try another. No harm, no foul. Some dog’s personalities shine through on the very first day you meet them. If this isn’t the case with your dog, wait a few days to get to know him a little better. You may find that the dog you thought was calm and collected is actually a literal ball of energy – in which case, “Bolt” may be a fitting name. Speaking of Cher, many people name their dogs after celebrities. 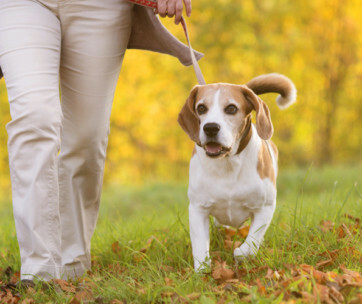 Perhaps your dog has certain traits of your favorite action hero? “Rambo,” perhaps? Or maybe your new dog reminds you of your favorite song – “Mandy,” for example. The name of the street you grew up on; your favorite teacher; the name of your teddy bear. These all work and are a great source of nostalgia. Perhaps you’ve left your hometown or country and are looking to carry part of that with you. Naming your dog after your heritage, country of birth or simply your favorite place is a great way to keep it alive. If you were born and raised in Philadelphia, “Philly” may be a great name for your dog. Naming your dog sometimes isn’t as easy as many people think. With so many considerations to make and so many things to draw inspiration from, it’s easy to feel overwhelmed. Your shortlist of names may end up really long, or have nothing on it altogether! The above tips and considerations are exactly that – tips, not rules. If your gut tells you to go against every suggestion you’ve ever heard, the choice is yours. Whether you’ve decided on “Sir Pupping ton of The Northern Hills” or “Spike;” if you like it and your dog responds well to it, we say, go with it!